The Chicago Cubs and the Seattle Mariners completed a four-player trade Wednesday, and all four players are former Midwest Leaguers. The Cubs traded a pair of prospects, first baseman Dan Vogelbach and RHP Paul Blackburn, to the Mariners for left-handed reliever Mike Montgomery and pitching prospect Jordan Pries. 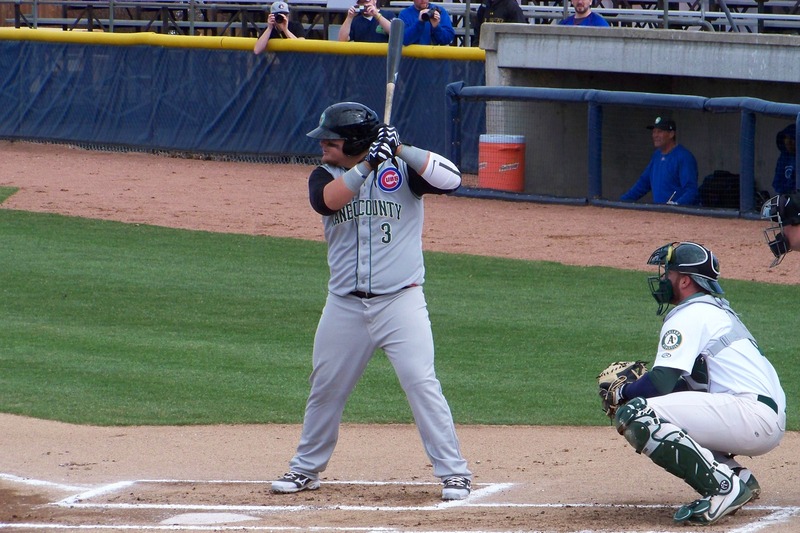 Vogelbach and Blackburn played for the Kane County Cougars in 2013 and 2014, respectively. Montgomery pitched for the 2009 Burlington Bees, and Pries pitched for the Clinton LumberKings in 2012. Vogelbach batted .284 with 17 HR and 71 RBI in 114 games with the Cougars. This season he batted .318 with 16 HR and 64 RBI in 89 games with the Triple-A Iowa Cubs. Blackburn went 9-4 with a 3.23 ERA, 75 strikeouts and 31 walks in 117 innings (24 starts) for the Cougars. This season he went 6-4 with a 3.17 ERA, 72 strikeouts and 26 walks in 102.1 innings (18 starts) for the Double-A Tennessee Smokies. Montgomery made 12 starts for the Bees, going 2-3 with a 2.17 ERA, 52 strikeouts and 24 walks in 58 innings. This season is his second in the major leagues; he went 3-4 with a 2.34 ERA, 54 strikeouts and 18 walks in 61.2 innings (32 games/two starts) for the Mariners this year. 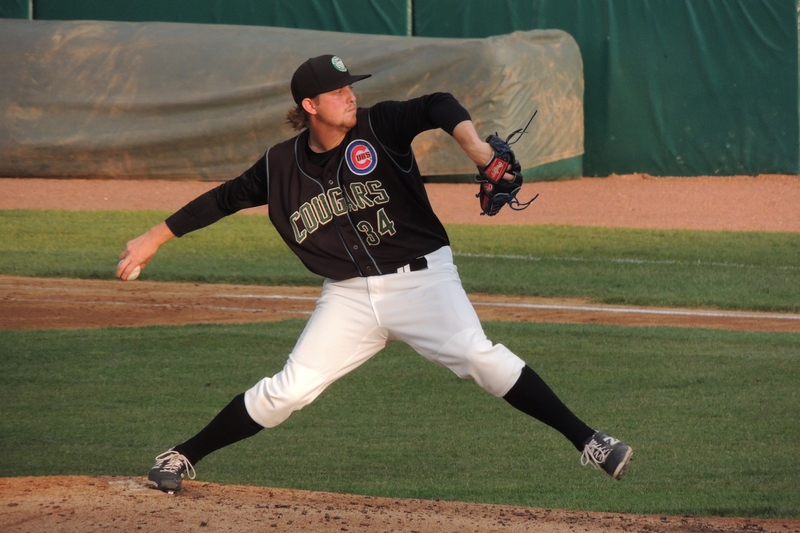 Pries went 4-0 with a 3.49 ERA, 33 strikeouts and seven walks in 38.2 innings (seven starts) for the LumberKings. He split this season between Double-A and Triple-A, cumulatively going 7-3 with a 4.93 ERA, 83 strikeouts and 21 walks in 84 innings (20 games/12 starts). This entry was posted in Burlington Bees, Clinton LumberKings, Iowa Cubs, Kane County Cougars, Midwest League, Pacific Coast League, Southern League, Tennessee Smokies. Bookmark the permalink.